What in your childhood/young life had the greatest effect on your life? Living in new places every few years. You learn to adapt to new things. Becky is the primary contact point for all current and new clients at Southern Cross Property Consultants. Before coming to SCPC, she was in the paint industry working with property managers as a color specialist. 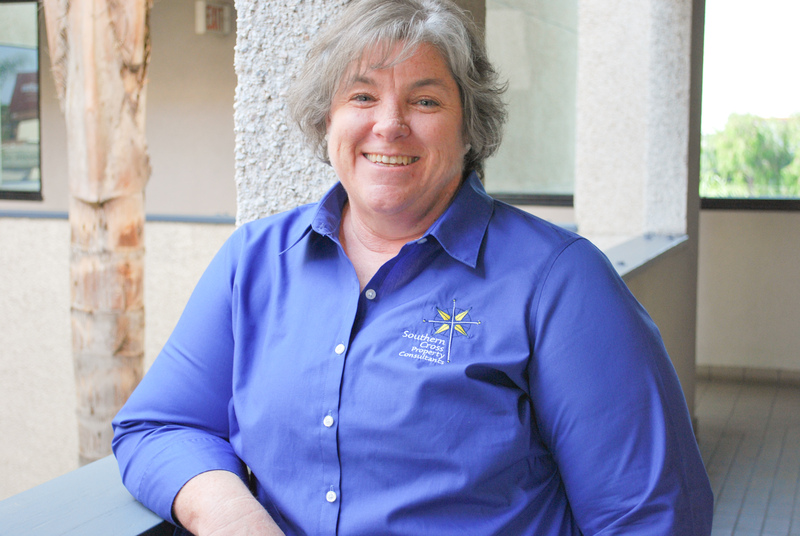 With over 15 years in the HOA, Apartment and Commercial spheres, she brings a lot of relationships to SCPC. She looks forward to meeting each and every client to make the construction on their property run smoothly. When she is not working, she and her husband run a camp for kids in the San Diego foster care system.